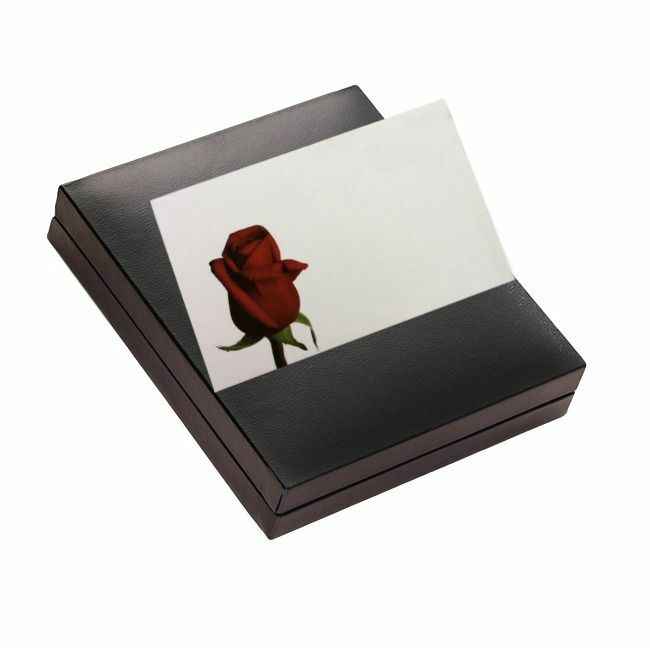 Give this beautiful gift of love to someone special and see their face light up when they receive something so meaningful which has been personalised just for them. Available in a rose gold or silver finish, this gorgeous necklace can be engraved on the front, back or both with any words, names, dates or special messages to make the perfect personalised gift. 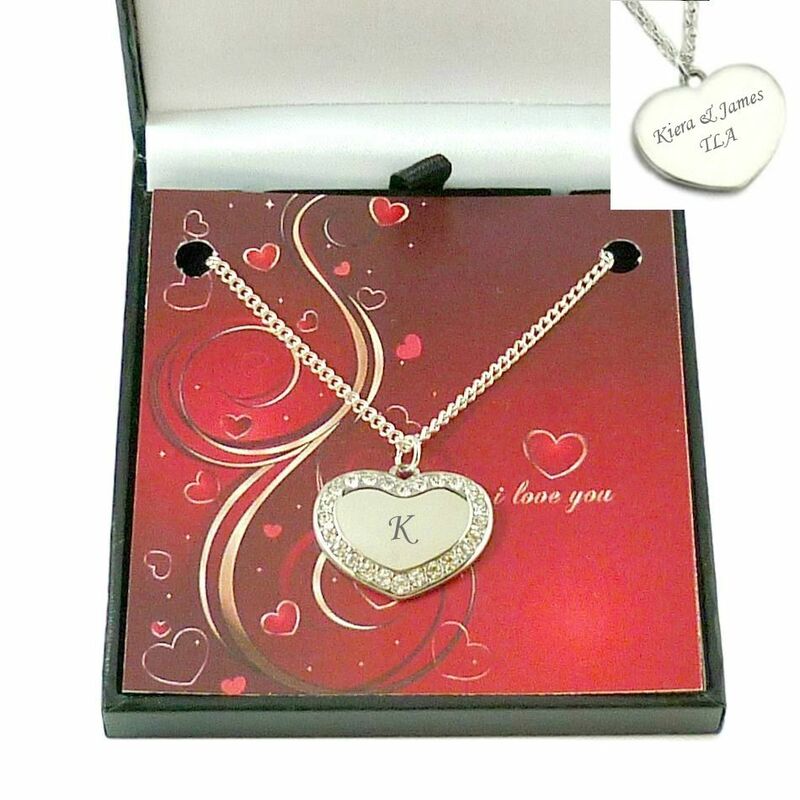 A lovely necklace with your own choice of words engraved on one or both sides, framed by sparkling crystals on the front. 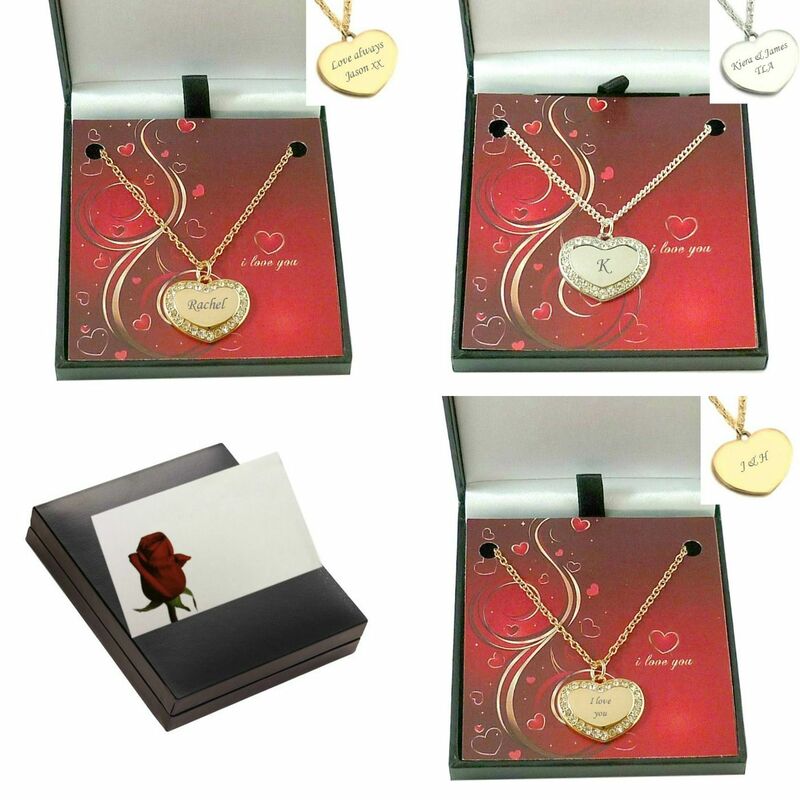 Presented in a padded and hinged gift box with the I Love You card and little gift card shown. Part of our extensive range of personalised necklaces with engraving. Sizes: Choose from 14, 16, 18 or 20 inch necklace chains. The steel heart is 23mm x 18mms. Metal Parts: High quality stainless steel heart in silver or with a rose gold plating.